When I got the job of an elementary computer lab teacher in Victoria School District 61, my first step was to connect with a few great computer lab teachers in our district. Since the position was part time, I was able to go visit Breafoot Elementary School and talk to Darryl Beck, as well as visit John Weston at Macaulay Elementary during school hours. I asked them all the questions I could think of at the time, observed their classes in action, and took frantic notes. These experiences significantly helped me design and implement how I was going to design the website for the computer lab program at George Jay Elementary. Since then, I have shared my computer lab program with a number of classroom teachers around the district and computer teachers across the world as a resource, example or template. (There are now 3 computer lab programs in our district that have used my template to run their own separate computer programs – Northridge Elementary, Craigflower Elementary, and George Jay Elementary ). My point is that I needed to make connections with other educators to show me the ropes, and to support, challenge, and inspire me. Now in my first week of school, I have reached out to many colleagues within and outside my district to show me the ropes. Connecting with other educators remains at the heart of what I do and it should for all educators as part of their development of their PLN. Last week I traveled to Surrey School District 61 #edcamp36 with Dr. Valerie Irvine from Uvic. She has been connecting me with educators, vendors, and leaders in the arena of educational technology integration. I had the pleasure of meeting and asking a million questions of Tia Henrikson (@TiaHenriksen), Victoria Olson (@MsVictoriaOlson) and Hugh Macdonald (@hughtheteacher) in regards to school district leadership in our province. 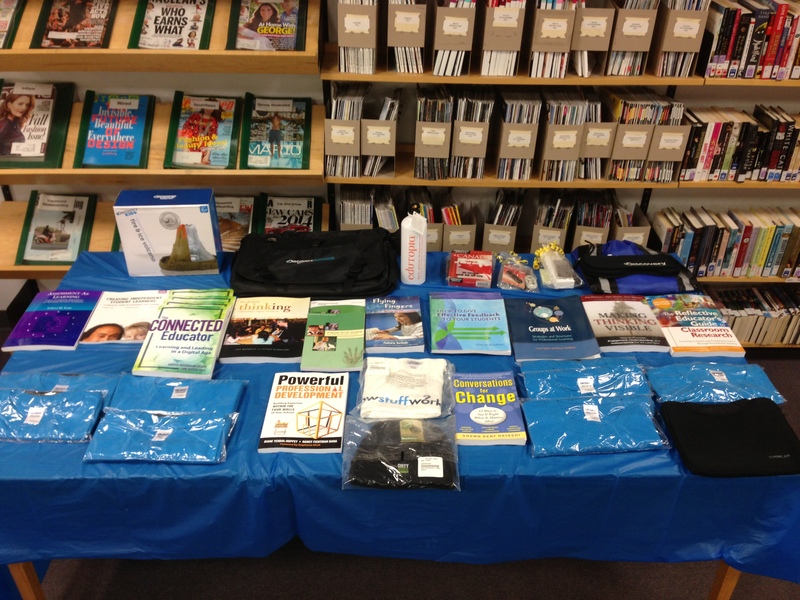 I collected resources, blogs, Twitter handles, ideas, systems, and stories from many other educators at the conference. And as you can see, the Professional Development sessions offered a wide range of topic beyond edtech, integration, and technology. But the most valuable piece that I took from the day was the connections I made with a wide variety of educators. As a door prize winner, I selected the book “The Connected Educator: Learning and Leading in a Digital Age” because I recognized many of the reviewers that include Alec Couros (@courosa), Bill Ferriter (@plugusin), and Kathy Schrock (@kathyschrock). The book builds on the premise that educators can be better digital connected, but that most don’t know how to get there. The book is filled with resources, blogs, contact, and tools filled with the why and how to use social media quickly and effectively to build their PLN. An overaching goal for my position as “Coordinator of Educational Technology” is to design, build, implement, and facilitate new ways that teachers and administrators can connect digitally with each other to build their PLN. The use and growth of my PLN has significantly improved my teaching practice so convincingly that I need others to feel the impact of growth as well. I plan to design blog systems, social media systems, workshops, sessions, and grants under the need for educators to develop their PLN. It has been the brainstorming of my week. In order to build the appropriate PLN of teachers in our district I am looking at school districts all over the world for systems and design. I still have so many design questions, I am collecting the most relevant examples (on this public page – https://daveshortreed.com/pln/school-district-61/), and will be translating these systems to the learning culture that exists in School District 61. It is going to be the challenge of my year. Please feel free to add any ideas or thoughts below. Much appreciated. Enjoyed reading your reflections on the powerful impact of collaborative conversations on practice. 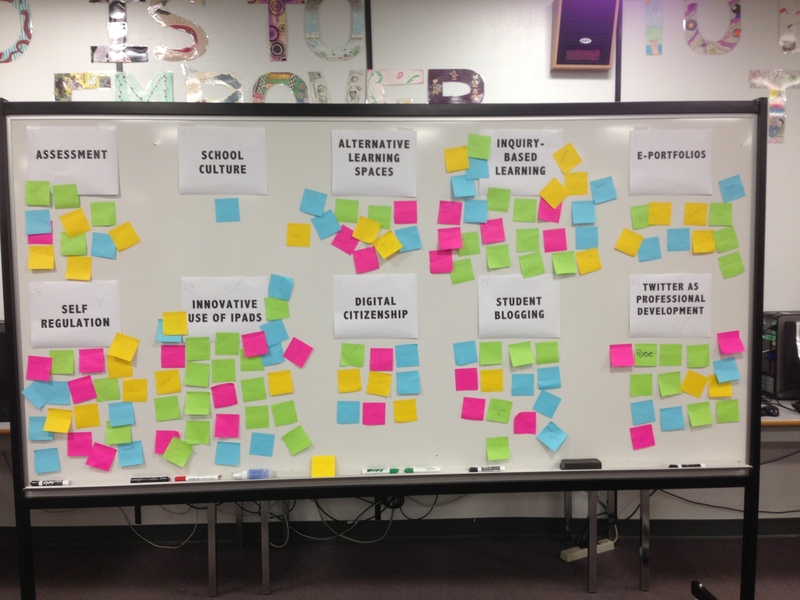 Thanks for sharing the photos from #edcamp36. Hey dude 🙂 Love the post and your thoughts. Just want to give you something to think about it as you go through your work. A lot of those “digital connections”, help to create face-to-face connections that often create a greater accountability to one another within your own school district. I have watched a lot of teachers connect through our hashtag from other schools, but then amazingly build a stronger relationship when they are face-to-face. In my opinion, connecting in person is always better than online, but it is not always easy or possible. I have really pushed myself to see the importance of this online space giving opportunities to enhance the offline space. That is imperative in your work within your own district. This is my second year as Tech Collaboration teacher three hours north… Would love to swap ideas sometime! EdCamp 36 was my first EdCamp experience and I still can’ t stop talking about it with all my colleagues. I came away inspired and in awe of all the amazing and passionate educators I made connections with. It was fantastic meeting you and I look forward to reading and learning from your future reflections.